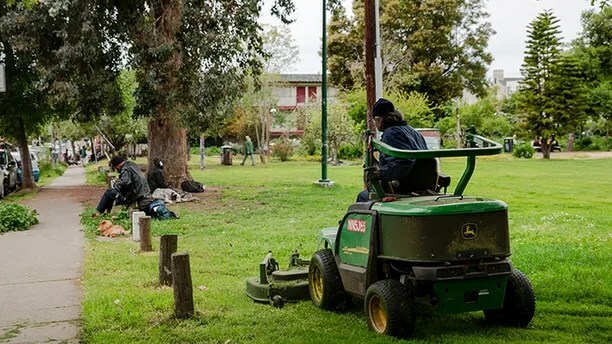 BERKELEY, Calif – It appears even the famously hippy-dippy friendly administration at UC-Berkeley has had enough with the homelessness, drug use and petty street crime in a so-called “People’s Park,” which has finally been slated to be repurposed for student housing. 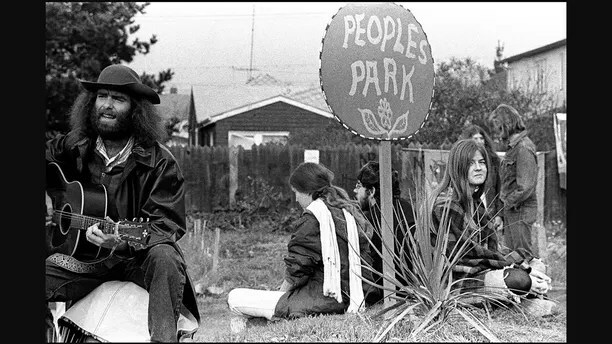 For decades, People’s Park stood to some as a symbol of the free love, anti-war and anti-authoritarian movement that swept this northern California college town in the 1960s. From the “Bloody Thursday” protest of 1969 to 2011’s “tree-sits” against plans to develop more student housing, the park has long been a place of protest and controversy. But in recent years it has also become, as the San Francisco Chronicle recently described it, “a forlorn and somewhat menacing hub for drug users and the homeless” – and a place most Berkeley residents and students tend to avoid. In May 2018, UC-Berkeley reported campus police had been called 1,585 times to People’s Park in the previous year. Between 2012 and 2017, there had been an astonishing 10,102 criminal incidents reported in the park. This city has moved on well beyond its stereotype, well beyond the 1960s. People understand that the current status quo serves no one’s interest, least of all the homeless people who occasionally use the park. One of the more shocking incidents in the park occurred last June, when a 36-year-old mentally ill woman randomly shoved methamphetamine into a two-year-old boy’s mouth in broad daylight, while the child’s nanny looked on in horror. In an effort to deal with the mounting problems of the homeless and mentally ill residing in the park – and also solve a massive student housing crisis at UC-Berkeley – the school recently announced plans to develop a large part of People’s Park into both student residences and long-term supportive housing for some 800 homeless. A rendering of the completed housing in People’s Park. 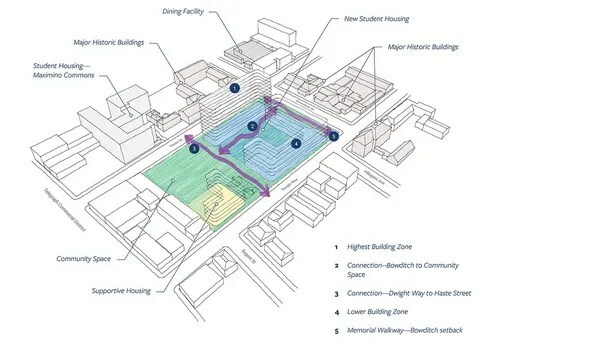 The development, which will house as many as 1,000 students, and between 75 and 125 apartments for the homeless – plans to also construct monuments to the history of the park, which has been a part of Berkeley’s history since the university first proposed building student housing there in the late 1960s. While UC-Berkeley officials see this as a happy medium that will both cut down on crime and drug use in the park while providing more student residences and housing to the homeless via a nonprofit group, the people who currently call People’s Park home don’t see it that way. School officials say they are prepared for any pushback, but insist it’s time to finally clean up the park. The project is expected to be completed in about four years. But Daniel Reitz, a 26-year-old homeless man who only recently came to Berkeley, said he thinks there will be a big fight – literally – if the university goes through with its plans. Reitz added: “Word of mouth is that it’s not going to be pretty, people are not going to leave it alone.